Thanks to animal rights activists, Hurricane Katrina was more severe than it could have and should have been. It is a story that sounds so crazy, it could only happen in the Louisiana bayou country, but it is inevitably spreading along America’s coastal wetlands. The direct culprit is the burrowing, grass-inhaling mega-swamp rat called the nutria, but it has been aided and abetted by clueless people. However, viewers will meet some of the hardy Louisianans who are rising to the nutria challenge in Quinn Costello, Chris Metzler & Jeff Springer’s Rodents of Unusual Size (trailer here), which screens during DOC NYC 2017. Essentially, Nutria are just plain varmints. They are an invasive species that was deliberately imported to Louisiana during the Depression to provide jobs on fur farms. However, during one dark and stormy night, a colony of nutria escaped their cages into the swamps—an environment perfectly suited to them. For decades, this was not a problem, because their pelts were valuable to fur trappers. Hence, their population remained in check. Unfortunately, the bottom fell out of the market in the 1980s, thanks to the anti-fur campaign. There was no longer an incentive to trap nutria, but the nutria continued doing what rodents do best. As a result, they have literally chewed up the coastal marshlands, leaving the soil fragile and infertile due to their massive tunneling networks. Of course, the lush wetlands were a prime defense against serious hurricanes, but tragically, they were appreciably depleted when Katrina hit. On one level, Rodents is an object lesson in the unintended consequences of cheap, feel-good activism. Yet, it is also a tribute to Louisiana resiliency. 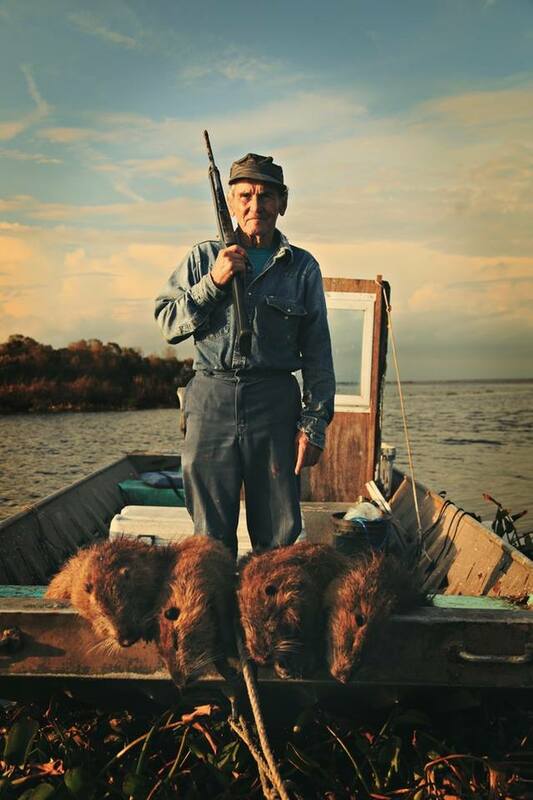 In recent years, the once-exploding nutria population has actually decreased dramatically, thanks to the $5 bounty U.S. Fish & Wildlife now pays for every nutria tale. Clearly, there is no limit to what well-armed and highly-motivated Cajun bounty-hunters can accomplish, when they put their mind to it. In addition, various New Orleanians are working to create sustainable demand for nutria products. Righteous Fur markets nutria as a guilt-free fur with its hipster-friendly accessories, while some New Orleans celebrity chefs promote nutria as a local cuisine. In fact, there is no bigger celebrity chef than Kermit Ruffins, who fixes up some nutria barbeque for a skeptical audience at his Tremé Mother-in-Law Lounge. Rodents is a terrific documentary. It illuminates a fascinating case study, while showing plenty of sensitivity to local customs and culture. The doc also sounds great, featuring the music of Ruffins and the Lost Bayou Ramblers. There is even a sly animated history lesson, narrated by Wendell Pierce that is totally in keeping with the attitude and sensibilities of the Crescent City and Pelican State. Plus, we meet a service dog named “George W. Bush” and the title is a Princess Bride reference, so what more could you ask for? Maybe more Ruffins. At a whisker under seventy-minutes, Rodents totally hits it and quits it, without any wasted time. Yet, it is an important and informative film, especially given the spread of the nutria population. 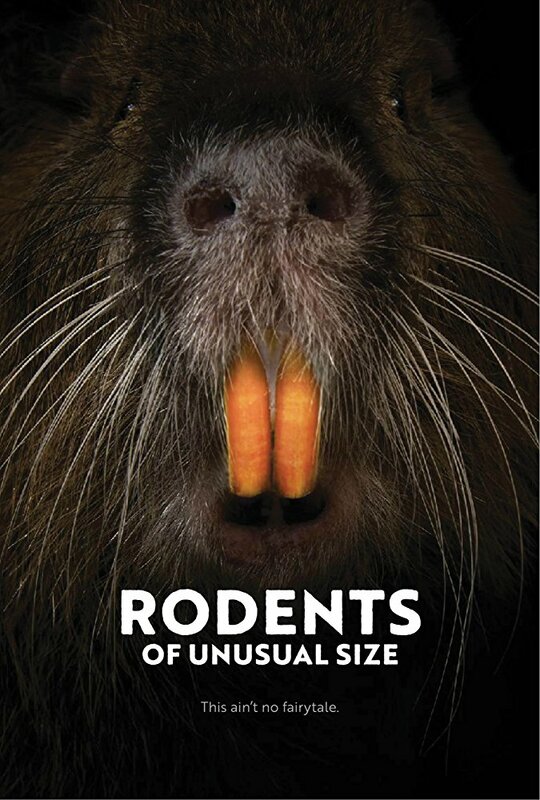 Very highly recommended, Rodents of Unusual Size screens this Wednesday (11/15) as part of this year’s DOC NYC.